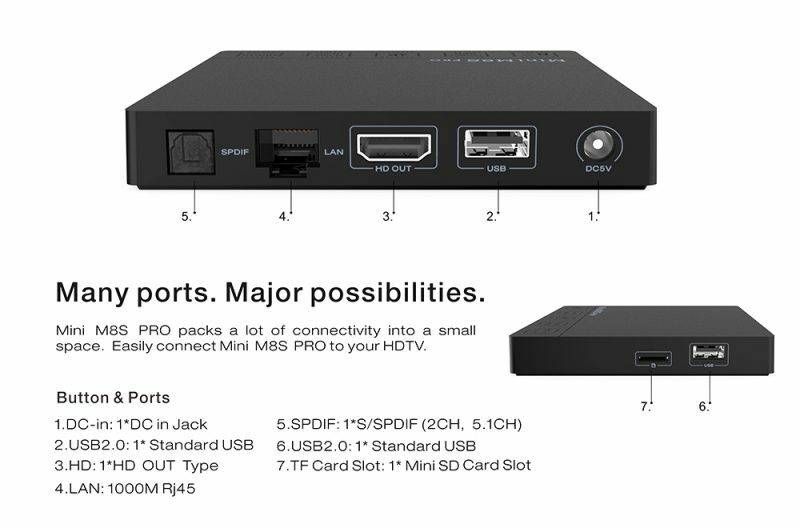 The Mini M8S Pro Android 6.0 4K TV box, reminds me of the Amazon Fire TV box in appearance. At first glance I was not too impressed seeing that it was just a square box and so small, but after I held it and felt its weight I thought well maybe there is more that meets the eye. In this post, I am sharing the results of my review of this box. 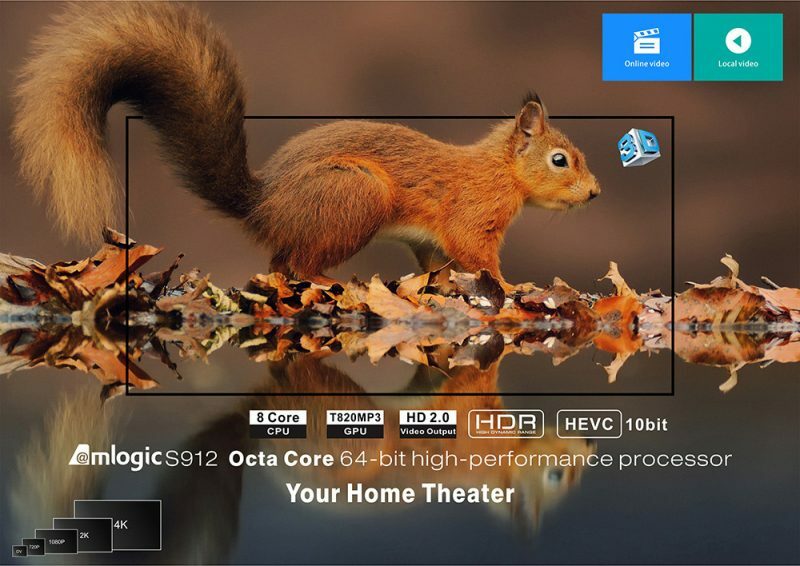 When I ran the system and hard application, the results showed that Mini M8S Pro ran on the Amlogic S912 octa core CPU, but it was limited to 1.5GHz. This was no surprise as all the Amlogic S912 TV boxes were limited to this frequency. The GPU too was also the same GPU which was the ARM Mali T820 tri core GPU. It has 2GB of DDR3 RAM, and 32GB of internal storage which I found was a good addition, because storage is very important in TV boxes. It has 802.11 ac dual band 2.4GHz + 5.8GHz WiFi connectivity which I was able to connect to the 5.8GHz without any issues. 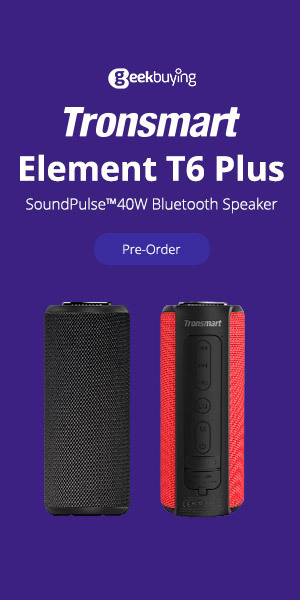 It also has Bluetooth 4.0. You have convertible storage under Android 6.0. The launcher of the Mini M8S Pro is simple and easy to use with a navigation bar at the bottom, along with a secondary bar for quick access to functions like WiFi networks, Bluetooth settings, and storage settings. You have the ability to add and remove shortcuts. The Mini M8S Pro runs on Android 6.0 operating system. The box does not come with lots of app just those core system apps needed to operate the box. 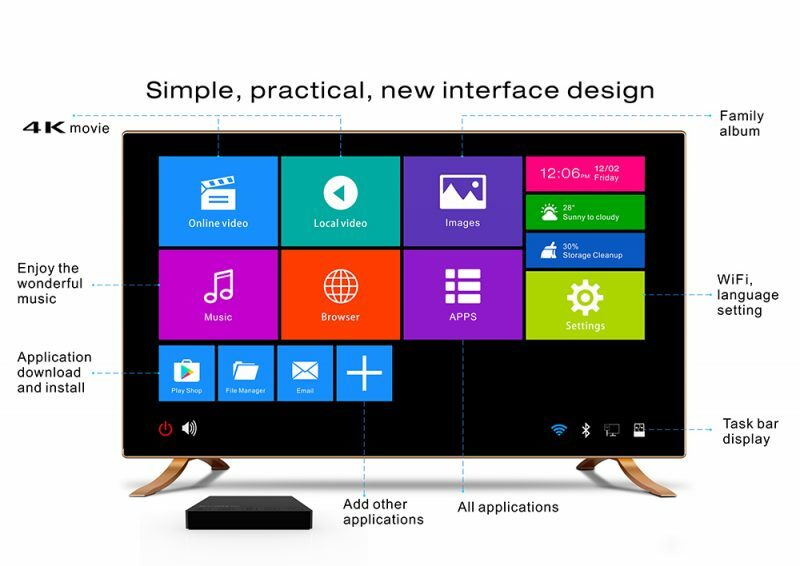 There are apps like AppInstaller, File browser, Media Center, MiraCast, Google Play Store, a custom Kodi 16.1 build called Qodi, and a couple others. After running my usual set of 4K videos at various frame rates, most of them ran smoothly with the exception of the Jellyfish video which had a frame-rate of 250Mbps. 4K at 60Hz played OK at 120Mbps frame-rate. I choose to play Mortal Kombat X and the game ran well and graphics were of a high quality. However higher graphics games like the new Injustice 2 have slow graphics and quality was not of the best. 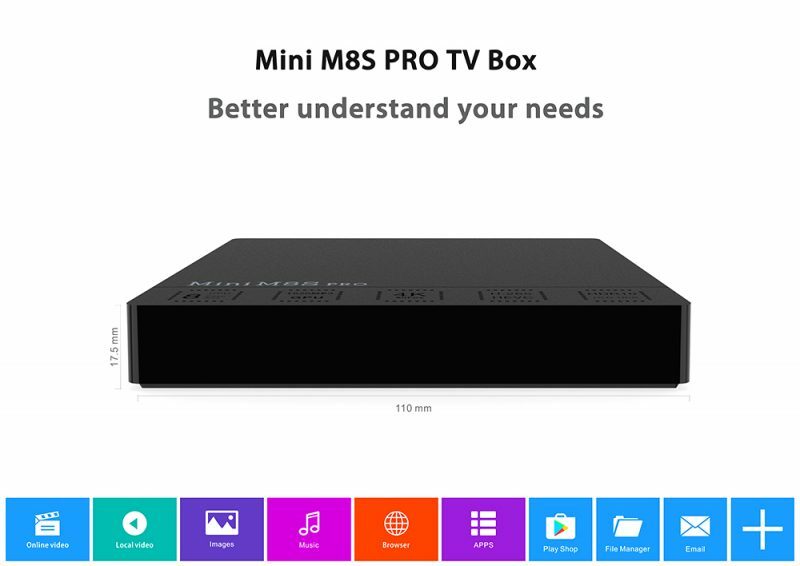 If you are into streaming free movies and TV shows then Mini M8S Pro does the job pretty well. 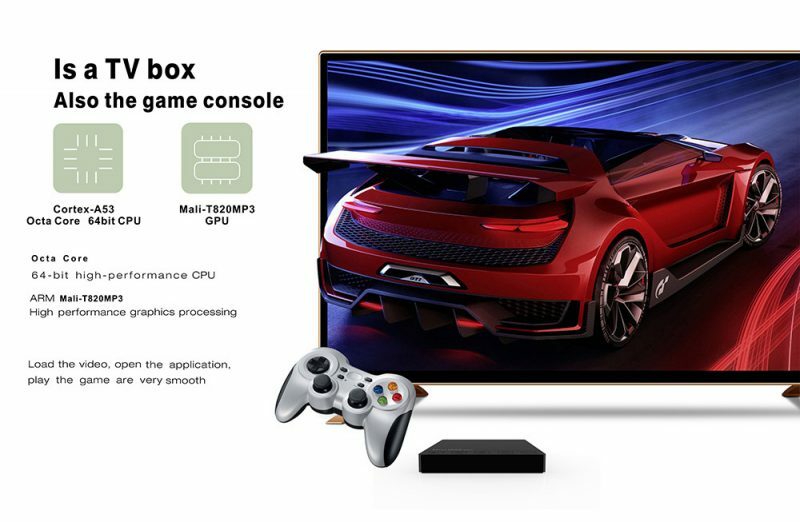 Gaming on this TV box is good just not for the newer high graphics games. The box is stable, it never froze up on me, the temperature was stable surprisingly it didn’t overheat, and I love the fact that the box is rooted which allows me to install my favorite GKM touch app for key-mapping my gamepad to play any Android game with swipe functions. I give this little TV box the thumbs up for purchase. CPU clock range limited to 1.5GHZ, the 4K 250Mbps Jellyfish video had difficulty playing, and the Design could have been better.